The Costa Brava including Girona, the capital of the region, is one of the most admired parts of Catalonia. On the coast, the beaches offer crystalline transparent water, and inland there are gentle mountains where walking and outdoor sports are a pleasure. Girona stands out for its gastronomy, with fresh fish as the star ingredient and products such as the Palamós prawn or l’Escala anchovies. The Costa Brava is also a byword for culture, history and art: from the legacy of the painter Salvador Dalí to medieval towns like Pals or Peratallada and the ancient ruins at Empúries and Ullastret. Popular and cultural festivals complete the offer of a place that will not leave you unmoved. The Costa Brava is the venue for many music, theatre, magic and circus festivals, not forgetting the local festivals in summer that are held in all of the towns and villages along the coast. 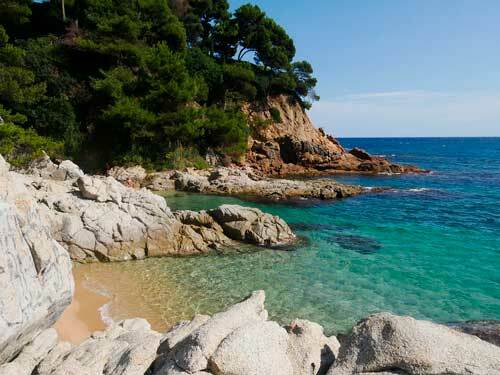 Beyond the beaches located close to our hotels, the Costa Brava has more than 200 kilometers of coastline with beaches with wonderful turquoise water –the ideal place to sunbathe or rest. Some of the best beaches on the Costa Brava include Cala Pola, Cala s'Alguer, Aiguablava, Cala Murtra or Cala Jòncols. 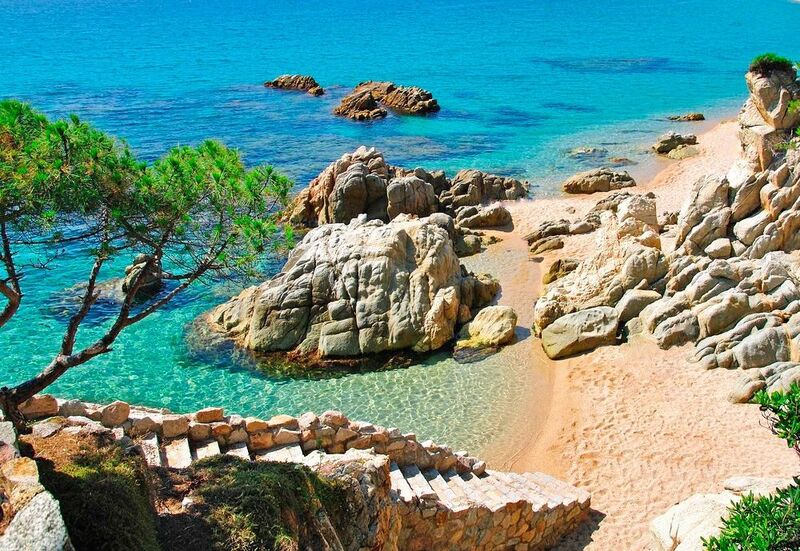 If you do not want to miss any of the best spots on the Costa Brava, we recommend you read the article "Top 20 hidden beaches in the Costa Brava". The Platja Gran at Platja d’Aro is a 2.5 kilometre-long fine-sand beach in an urban setting with facilities. This beach is the best known in Platja d’Aro and is very popular thanks to its beautiful promenade, which is ideal for a stroll at sunset. There are also small coves to discover in Platja d’Aro, for example, Cala Sa Cova, Cala del Pi, Cala d’es Canyers and Cala Belladona, which is very close to the Hotel Cap Roig. The via ferrata in Cala Molí (Sant Feliu de Guíxols) is the only via ferrata in Europe which is located so close to the sea. In fact, the via ferrata is placed on the cliffs overlooking the Mediterranean Sea, in a typical landscape of the Costa Brava, and with spectacular views. Forget your vertigo, and let Aventura Girona guide you on on the Via Ferrata of Cala Molí. Coasteering is an adventure sport that consists on a coastal tour combining hiking, jumping, exploration of caves, scuba diving, climbing, rappelling, rope bridges... pure adrenaline! Discover the Wilder side of the Costa Brava from the Sant Pol de S'Agaró, with Aventura Girona. Golf for all levels. 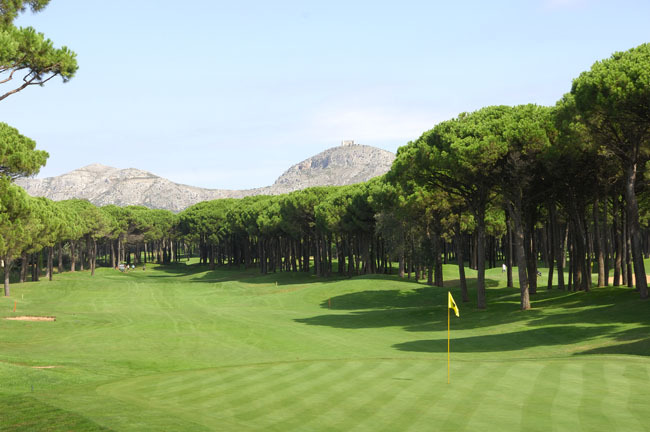 More than 10 golf courses surrounded by very beautiful scenery, by the sea and in the mountains. In the province of Girona, golf is never far away. Enjoy your favourite sport whenever you want on some of the best golf courses in Europe, accompanied by delicious food and drink, charming villages, a varied cultural offer and many other activities to enjoy in an unforgettable stay.